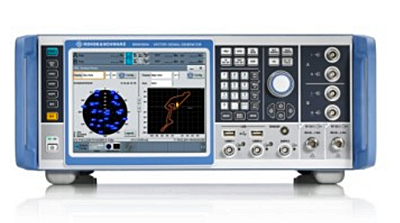 The R&S SMW200A GNSS simulator adds a high-end solution to the Rohde & Schwarz portfolio of satellite navigation system simulators. This unit can be extended to as many as four RF outputs and allows GNSS signals to be simulated simultaneously in multiple frequency bands for multiple antennas. According to the company, this is the only instrument on the market that can internally simulate a complex interference environment in parallel with GNSS signals. 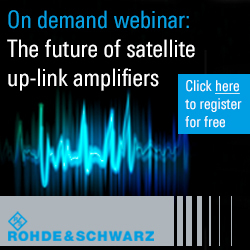 With the R&S SMW200A, Rohde & Schwarz heralds a new era in GNSS simulation. Today, an increasing number of GNSS receivers are able to process signals from diverse navigation systems such as GPS, Glonass, Galileo or BeiDou in several frequency bands — and in some cases with several antennas in parallel — in order to improve positioning accuracy. Accuracy can be further improved with differential GNSS (DGNSS) techniques. These techniques are used in applications such as autonomous driving, and they are indispensable for precise and reliable positioning of aircraft during landing approaches. The GNSS receivers used in these applications must undergo extensive tests before deployment in vehicles or aircraft. The new R&S SMW200A GNSS simulator now offers an innovative test solution for easy generation of complex and highly realistic test scenarios for a wide variety of GNSS applications. To test multifrequency and multi-antenna systems, users now have access to 72 GNSS channels that can be assigned to up to four RF outputs. The R&S SMW200A can generate QZSS and SBAS signals as well as GPS, Glonass, Galileo and BeiDou signals. This solution enables users to quickly and easily verify the position accuracy of their receivers under realistic conditions. The R&S SMW200A is the first and only high-end GNSS simulator on the market that has an internal noise generator and can generate complex interference scenarios with multiple interferers. All signals (GNSS, noise and interference) are generated directly in the instrument. Additional signal sources for external generation of interference signals are not necessary, considerably simplifying test setups. No external computer is needed to configure and operate the R&S SMW200A. The integrated, intuitive GUI allows users to generate GNSS scenarios quickly and easily. Thanks to the multitude of instrument options, the solution can be optimally adapted to individual user requirements. The R&S SMW200A is an extensible, future-proof platform that is ready to implement future test requirements such as testing new GNSS signals.